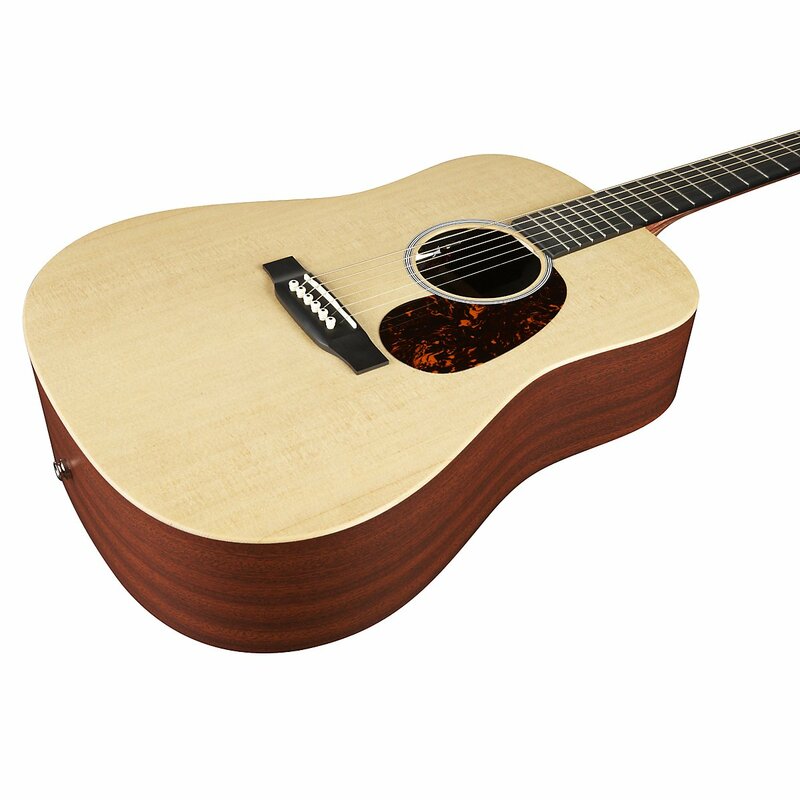 For a fairly reasonable price, Martin DX1AE Solid Top Dreadnought Acoustic Guitar still manage to give you the sound experience competable with the top notch ones with much higher price. This one is the bargain you're looking for with tight budget." Martin is a premier guitar brand name, and if you’d ask me, I’d equate the name to good sound anytime. I’ve been wanting to get one late last year, and just three months ago, my parents gave one to me as a birthday gift! I’ve been a guitar enthusiast since high school and although I have another guitar that’s been with me for years, I’ve always really wanted to try owning a Martin acoustic guitar, and hopefully play with its good distinct sound to be inspired and create new and meaningful music. Let me share with you my honest feelings on it first before we start with the formal review. I want a high-end guitar. My parents bought a Martin, yes, but one belonging to the lower price range. I didn’t know how to feel about it, it’s still a Martin anyway, I was somehow disappointed because I wanted to buy one that is more high-end. However, I would say, after 3months, I’ve learned a lot about it and I would like to share my thoughts with you. Hopefully you can share your thoughts with me too. The guitar being made not entirely of solid wood makes it lighter and more convenient to transport from one place to another, but it’s I would say, misleadingly bad for a lot of people. For starters, this guitar is made of solid spruce top mahogany HPL laminates, A-Frame ”X-1” for the top bracing, and Black Richlite fingerboard. A Fishman Sonitone active preamp soundhole is mounted with rotart controls. The guitar weighs 9.9lbs at 46x18x6in. 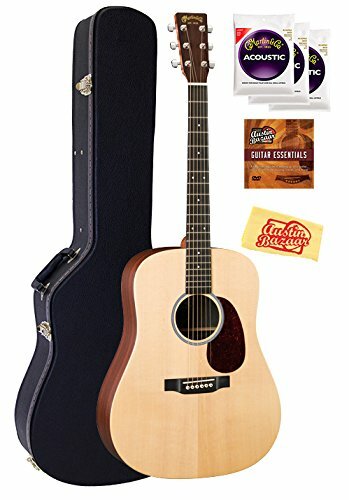 Unlike most people who get to search for reviews first before buying a new guitar, I was given this guitar first before I really got the chance to check the reviews out. A lot of people don’t like the fact that it is partly made of laminate wood but I don’t really care much about the authenticity and solidness of wood. Although I found out that the fret board could wound your fingers if you aren’t careful. I, luckily, haven’t experienced that first-hand yet, but I was able to come across the warning online, and I’m now passing it to you. Three months isn’t a long time, so I actually have thoughts that are on the neutral side. I don’t love it yet, and I don’t know if I hate it. The sound of solid wood definitely sounds different and feels different, but the lightness and feel of the lighter laminated wood also allows the guitar player to create more diverse sounds, which I think I’m loving. The resonance is unique to what I’ve been used to, and at first it felt odd but now I think I’m starting to love it. Just sometimes, when you get used to a solid wood guitar, you’re looking for that one sound that you can’t seem to perfectly achieve with one that is made of synthetic wood. Loving this guitar is somewhat a surprise to me, somehow. Of course I love it first and foremost because it’s from my parents, but there are many things that I realized after using it for three months now. 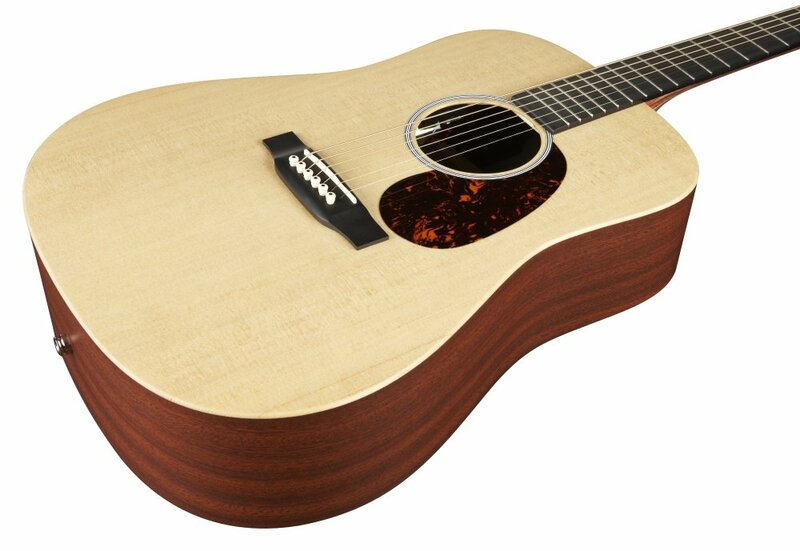 Despite people hating the laminated synthetic wood, this sounds like a real Martin acoustic guitar. It sounds authentic, but has a different feel to it. One of the things that I love most about this is that it’s light. 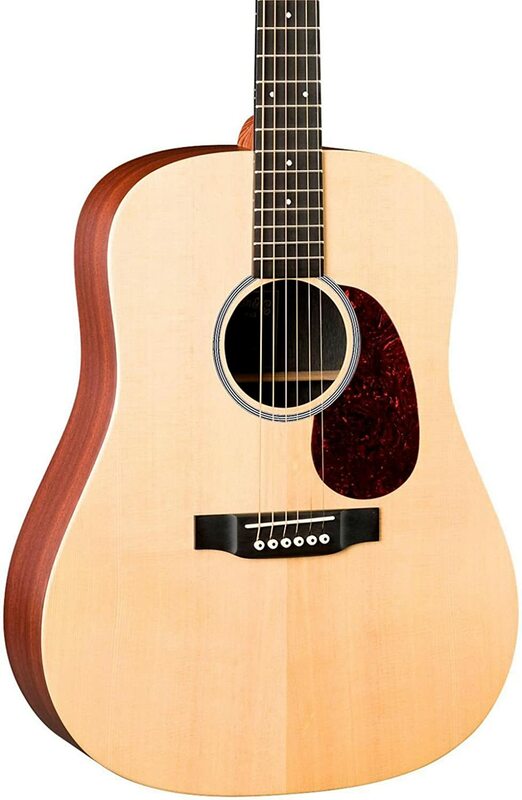 Also, I believe the synthetic wood is what made this Martin guitar more affordable, and isn’t that just great? This guitar made me realize that although I want high-end guitars, most times prices really doesn’t matter and aside from research, trying out the guitar for yourself (hopefully a couple of times and not just once) really helps. Overall, this guitar is actually a really good buy. It delivers good sound, and it’s a Martin. What people consider to be its weak point is actually what I think gives it an edge over other guitars too.